Jet Machine strive to achieve the standards set by our ISO 9001 Series certification. Continual improvement is the key to a successful business and a satisfied customer. Our team works hard to create a product you love, quickly and efficiently. Majority owner Marti Davis is proud to own Jet Machine, which is a Woman-Owned Small Business certified by the WBENC. This certification recognizes Marti’s efforts as a businesswoman, as well as assists our customers who have quotas to meet for specific contracts. Tony and Marti Davis, owners, acquired Jet Machine in 2001 and merged it with Conway Machine, Inc. under the umbrella of the Conway Manufacturing Group. They’ve recently celebrated their 30th wedding anniversary and have two children and two grandchildren. They love to travel and have adventures together. 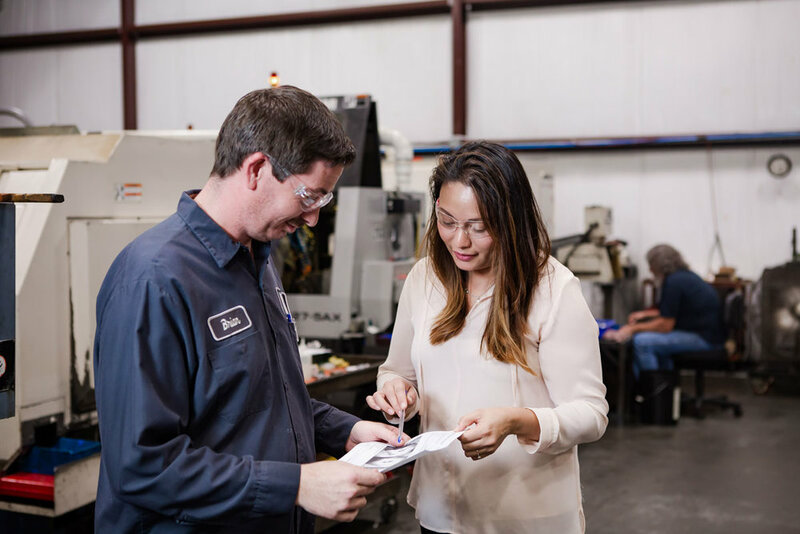 Over the last 15 years, they have worked hard to grow Jet’s customer base through new machines, skilled workers, continual education programs, and customer service.